Nokia has taken one whopping beating after each other lately. Thus making the stock price and credit rating laughable at best. The superficial reason is simple - Nokia's phones aren't good enough. Nokia has not had a game-changing hit device since... well... the N95. I'm talking about a device that redefines the market . The N95 could do that, because it was essentially the last phone of the convergent device hardware race. The N95 had GPS, maps, a five megapixel camera, high-speed internet and expandable memory. Looking at it now, five(!) years later, it's still a comparable feature set from a hardware perspective. Nokia won the race to build a true convergent mobile computer. All it lacked was good software. Product teams at Nokia were built around, well, products. The hardware differences around the phones defined the offering - not how well it worked with the Nokia ecosystem. The N81 team developed experiences and software that weren't compatible with the N82 - and then the teams would struggle to introduce their "improvements" into the master Symbian stack. Splintering from a common software strain leads to fragmentation and grinds improvements to a halt, as reintroducing code is slow and painful. The result: a total mess. Despite an enormous footprint in market share, it was essentially impossible to develop software that would work on all high-end Nokia devices and the store experience was pretty crappy as well. That's why there really wasn't any significant app ecosystem around Nokia. This is the opportunity that Apple took with iPhone - and the rest is history. I've seen a lot of talk lately blaming Stephen Elop for the downfall of Nokia. I think this is unfair. The real reason why Nokia has had a hard time is because it has moved into an industry that it hadn't previously been in: building holistic device and software platforms. Elop inherited a house built by the previous management, and this house was rotten to its core. Symbian was, and probably still is, a mess of spaghetticode and, despite a promising start, the Meego team suffered the same fate due to weak management and the weird decision to integrate Moblin into the stack, all while trying to get it ready for the new flagship device launches. The result was the N9 - too little, too late - and too many corners cut to scale. A lot of blame has been put on Elop - saying that his announcement of the Microsoft partnership was too drastic, and therefore he destroyed the Symbian phone business and subsequently the company. To these people I ask: try using a touch-screen Symbian device from 2010 for a few weeks. Let's see if you'd choose to buy a Nokia device as your next phone. 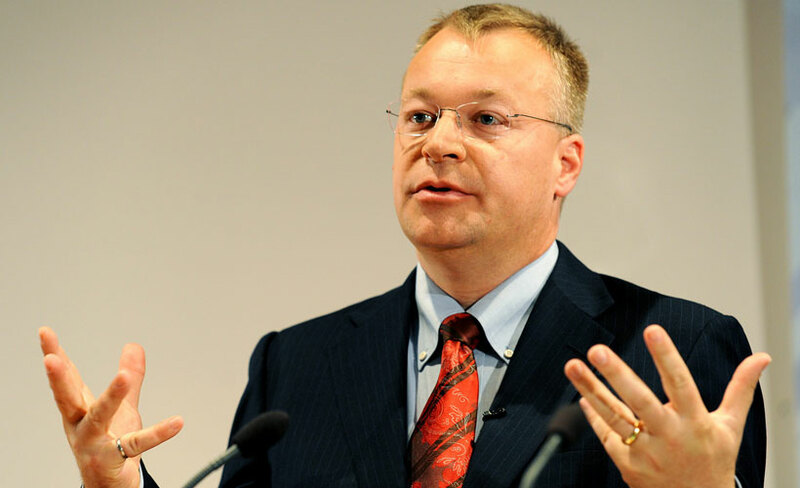 Perhaps, due a process of tap-dancing and sleight-of-hand, Elop could've managed to postpone the Nokiacalypse by a few months, but it was on its way. The device portfolio was just too messy to attract developers and the user experience too poor to keep or gain customers. In hindsight, the company should've just talked to ten or twenty N95 owners in 2007 to realize that, nobody really used any of the it's fancy functions due to poor level of OS experience and the lack of interesting software. Focusing on that problem, rather than megapixels or the bill of materials, would've been the right thing to do. Instead, Nokia decided to stay the course. This decision was made well before Mr. Elop took the reigns. And that was the decision that destroyed the company. Edit: typos, removed fragment sentences and tautology. And I would add to this the unbelievable arrogance of the Finnish senior management that just refused to believe that the world was changing and the old engineer-led model did not apply anymore. Suddenly the race wasn't about technology - it was about the experiences the technology could enable. And that's where the humanists kicked the engineers in the...well you know where. Thank you for posting these comments. The Amazon purchasers of the new Lumia really love their phone. I believe there's still a chance; engineers really do count. You are so far off the mark it's not funny. Where are your figures? Can you back up any of your claims with actual PROOF? Symbian revenue and profits GREW before they switched over to WP7. It was the BIGGEST OS in the world - and was going to be so for at least the next 2 years. These are the infrequent ramblings of one Juuso Myllyrinne, a digital business enthusiast. Beef lover. Beer drinker. Spectacular Xbox ice-hockey player. SXSWi award winner. I previously ran a global eMarketing team at Nokia. Now heading up digital strategy for PILOT.IS and previously TBWA in New York. Opinions here are my own and need not embarrass my employer - past or present. Oh, also had a radio and talk show in Finland during my university years.